Things I like about Bali: chill vibe, cheap food and accommodation, culture, and instagrammable cafes. Hi Loves, as promised, here’s my blog about our 5-day trip in Bali last month (technically, this month cos we traveled from 30 June to 4 July). We’ve been really looking forward to this trip cos it’s gonna be a reunion with my college sisses. We haven’t seen each other for almost four years! Imagine! Anyways, we booked a MNL to DPS flight last January (no returned ticket yet cos we booked during seat sale). One thing we learned was, airlines do not offer sale tickets for DPS-MNL flight. It’s not the same with Bangkok or Cambodia, that you can book a MNL-BKK flight then a REP-MNL return flight. Meaning, you can’t avail a discounted DPS-MNL flight alone. (Tip #1: during seat sale, book a round trip ticket. Do not wait for the next seat sale to book a return ticket cos it’s more expensive!) Anyways, we booked a round trip ticket again because it’s much cheaper than booking a one-way ticket from Bali to Manila. If you can’t travel without internet, you can buy a simcard at the airport. But since we went here to relax, we opt not to buy. Besides, most cafes in Bali offer free wifi. Re. the expenses, I think we spent more or less 20,000 pesos all in. Please consider also that we had to book a round trip ticket again which costs around 4,500 pesos. It’s cheap in Bali. 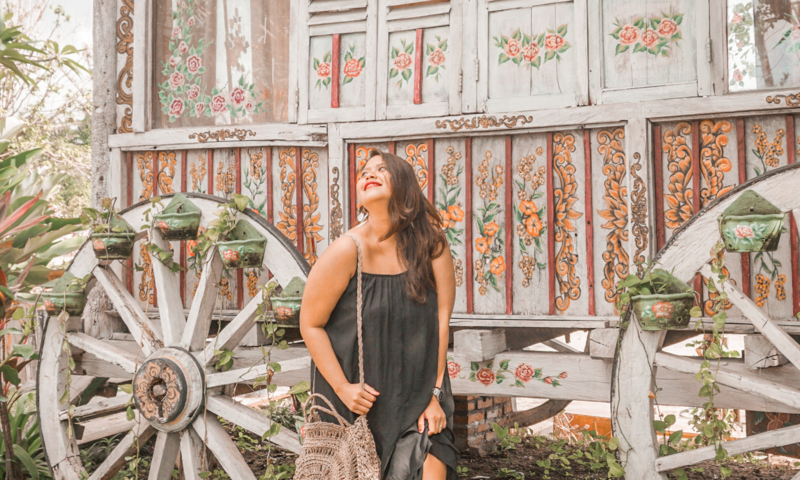 As you can see from our itinerary, we ate what we want, we ordered coffee three times a day (coffee addict here haha), we hired private tours, we paid entrance fees and donations, and we even shopped rattan bags and other souvenirs for 15,000 pesos. As in Loves, hindi kami nagtipid! So again, if you want to relax, think, and appreciate nature for a cheap amount, I highly recommend that you visit Bali soon! Don’t forget to check my IG (@loveexplores) for more pictures! Thanks for reading Loves!